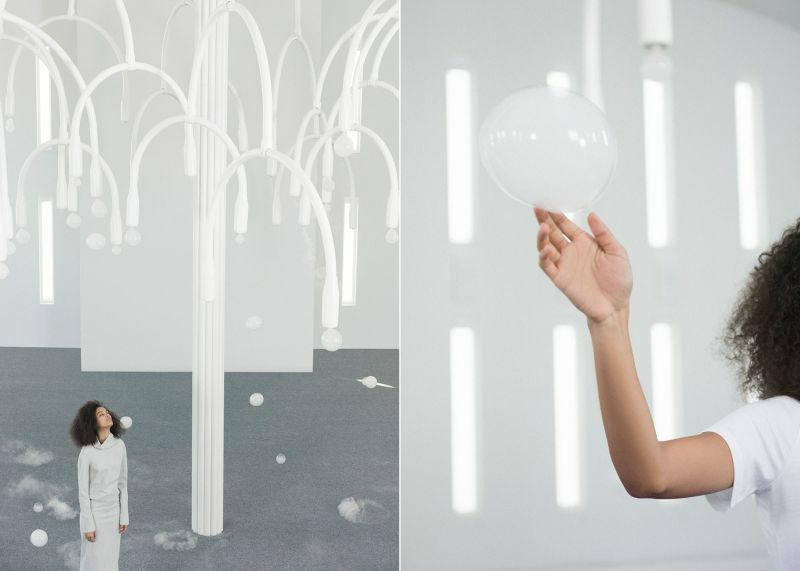 Alexander Groves and Azusa Murakami, the husband-and-wife duo behind Studio Swine, have erected a 6m tall tree-like sculpture in The Temple House during this year’s Design Miami. 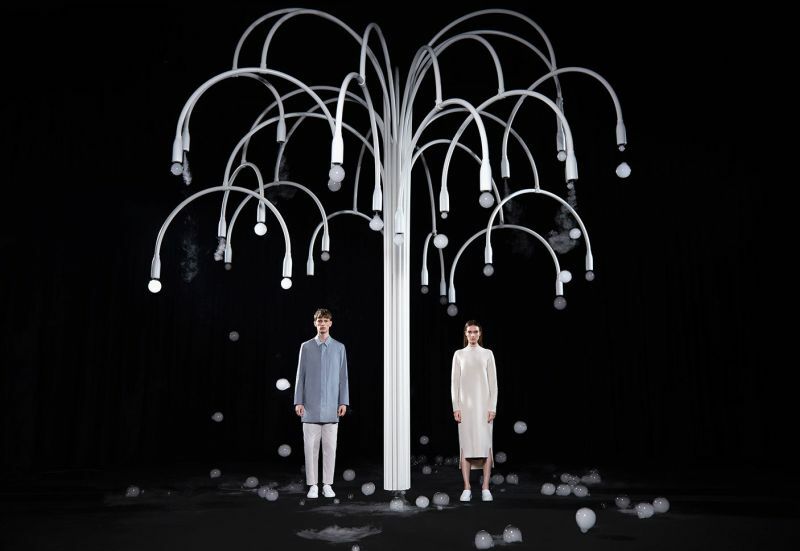 They first exhibited it at Salone del Mobile 2017 in collaboration with Swedish fashion brand Cos. 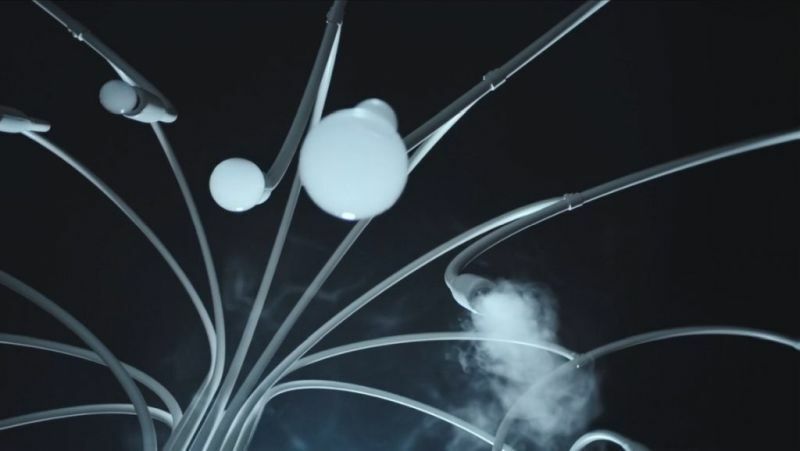 Dubbed New Spring, this interactive, multisensory installation releases vapour bubbles filled with different aromas in an interval of seconds. 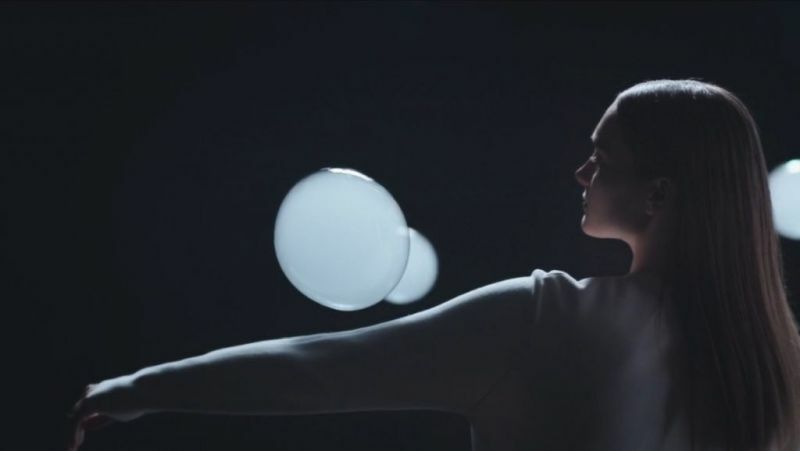 These air bubbles react differently when they come in contact with varied surfaces. 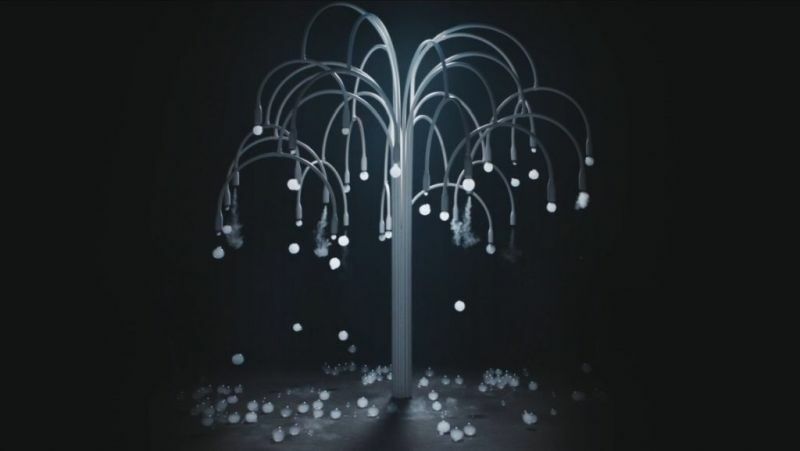 The bubble-releasing tree sculpture references the ornate chandeliers of Italian palazzos and the architectural features of Milanese columns and arches. 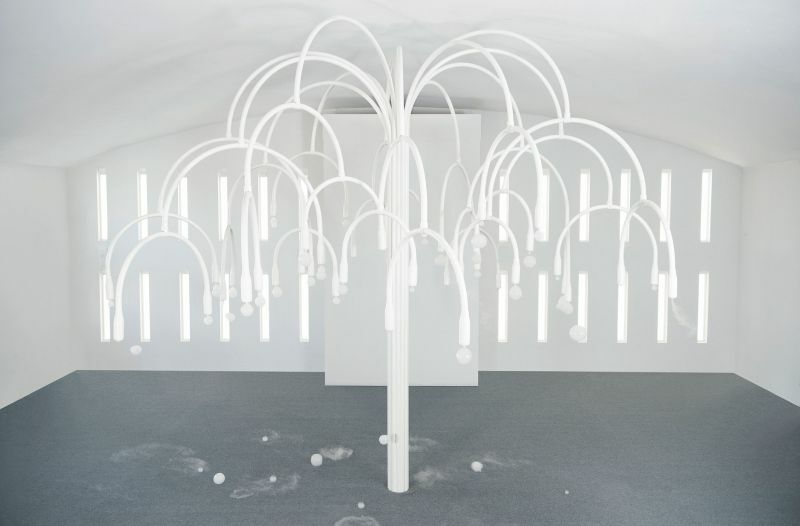 It consists of a series of white poles bundled to mimic a tree. The curved tip of each pole looks like branch that releases translucent bubbles. 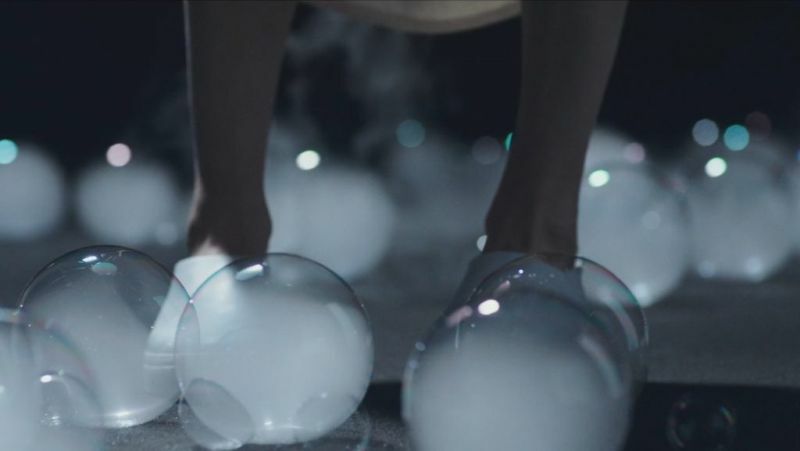 When touched, these bubbles burst to release scents. They can also be held in hands using the gloves provided on site. 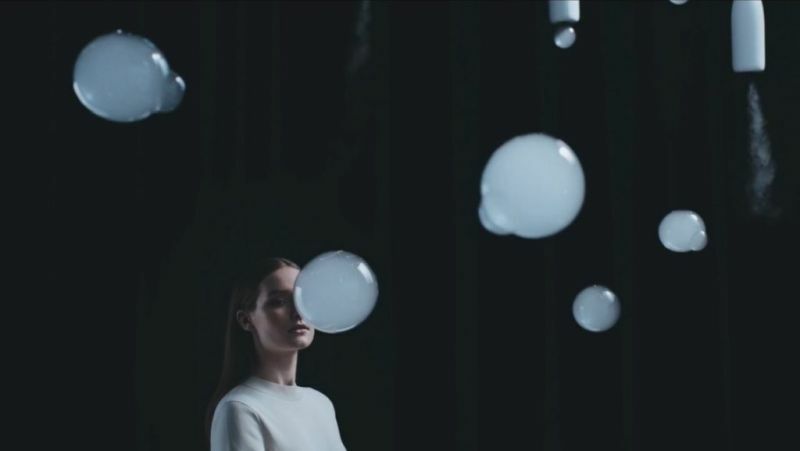 The New Spring is a small attempt by the designer duo to stimulate and satisfy visitors’ sense of smell and visual experience through a misty bubble show.